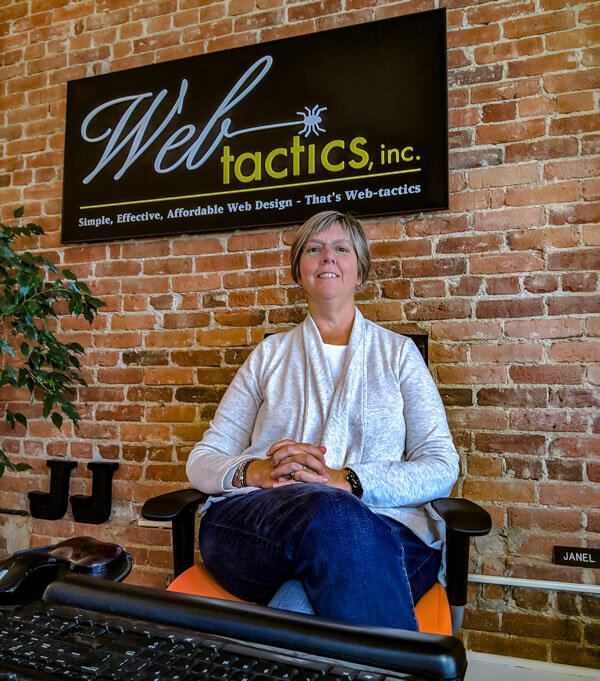 From her cozy and hip office on Easthampton’s Shop Row, Janel Jorda, owner of Web-tactics, Inc. designs, hosts and maintains websites for businesses, nonprofits and individual professionals, locally and across the globe. Whether you are a solo practitioner or a corporation employing thousands, you need customers to find you easily on the Internet. Increase your customers, increase your bottom line. Not always an easy task, but Web-tactics has the expertise and creativity to design a website that will separate you from the competition. User-friendly and attractive, websites designed, hosted and maintained by Janel and her highly skilled team of web experts will drive traffic to your business or nonprofit. 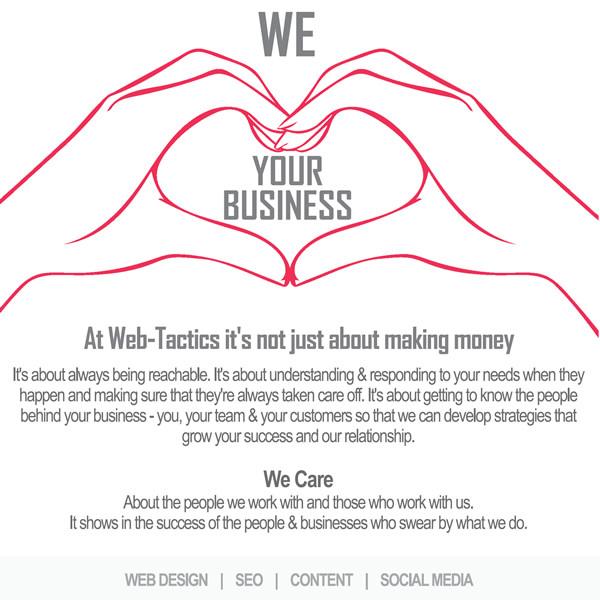 Web-tactics goes way beyond the basics and is a full-service Internet marketing business that customers rely on for all of their online needs. Web-tactics services also include social media strategy, marketing and management, search engine optimization (SEO) and marketing (SEM), e-commerce systems and management, copywriting and copy editing, graphic and logo design, branding and corporate identity, digital photography and video production, social networking and online collaboration tools, and more. Internet security is a major concern, but customers can rest assured that Web-tactics is constantly on top of the latest hacking threats, as well as new anti-virus technology to fend off any potential breach of security. Local customers are loyal to Web-tactics because they know Janel can be easily reached and responds to their needs immediately. She takes the time to get to know her customers’ businesses intimately so she can customize their websites to meet their specific needs. This personal, hands-on approach is why she retains many loyal and longtime customers. Janel’s career in online marketing began in the 1990’s when she worked for Internet entrepreneur Seth Godin at his company Yoyodyne in New York. Yoyodyne was one of the first companies to work in direct marketing. Based on its visionary success, the company was purchased by Yahoo! in 1998. Following Yoyodyne, Janel moved to Saint Croix in the Virgin Islands and launched visitstcroix.com, visitstthomas.com, and visitstjohn.com. (change to: and managed USVI tourism destination websites). She then moved to western Massachusetts to work for Spalding Sports Worldwide in Chicopee as global Internet technology manager, where she managed all Spalding Sports websites internationally. When Spalding was sold to Russell Corp. in 2003, Janel decided it was finally time to “do my own thing.” She launched Web-tactics in 2004 in Northampton and has seen her business grow every year since, an indicator of the quality and integrity Janel brings to every job. Janel moved to her current 83 Main Street location four years ago. She was warmly welcomed by the Easthampton community and business owners and loves the location. Business is booming since the move and in 2015, Janel was named Easthampton Area Chamber of Commerce Business Person of the Year. Web-tactics is also one of the only Women Business Enterprise (WBE) certified web design companies in the Pioneer Valley. WBE is a highly valued certification obtained from the Commonwealth of Massachusetts which opens the door to a multitude of new business opportunities in both the private and government sectors. Calling Easthampton “a vibrant and caring community,” Janel feels blessed to be part of the city’s revitalization. When she first contemplated opening Web-tactics, Janel wanted to “do well with my business, but I also wanted to do good.” With this in mind, she felt charities, artists, non-profits, and start-up businesses needed “someone who could guide them through the whole process” at an affordable price, and gives a 50 percent discount to all non-profit companies. Web-tactics has worked with several charities and non-profits such as Hope Animal Sanctuary, Easthampton Healthy Youth Coalition, Easthampton Learning Foundation, Easthampton Police Department, Easthampton Council on Aging and Enrichment Center, and many more. Janel donates some of her work to non-profits that are important to her, such as donating a new website to Riverside Industries in Easthampton, an organization that employs and assists adults with developmental disabilities. This project was near and dear to her heart because her sister is disabled. She also donated services for the development of a new website to the Saint Elizabeth Ann Seton Parish in Northampton, where she is a member.